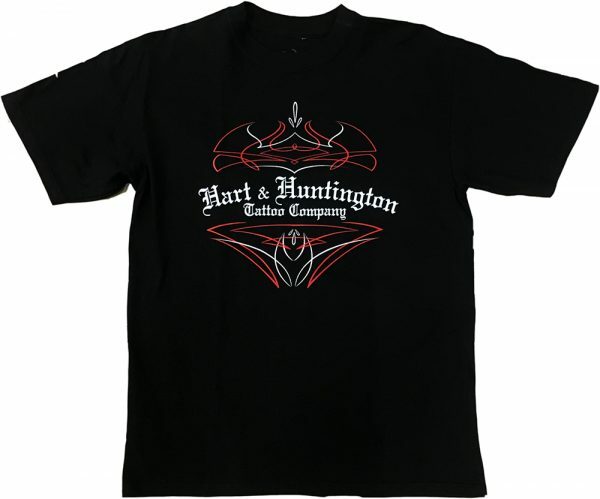 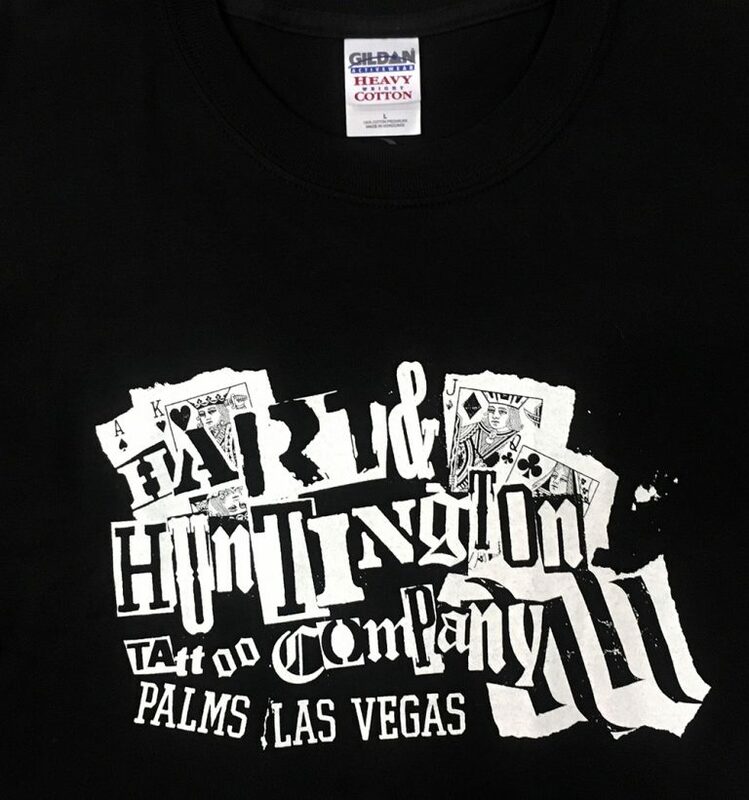 Black t-shirt with white ‘Hart & Huntington’ logo collage on front. 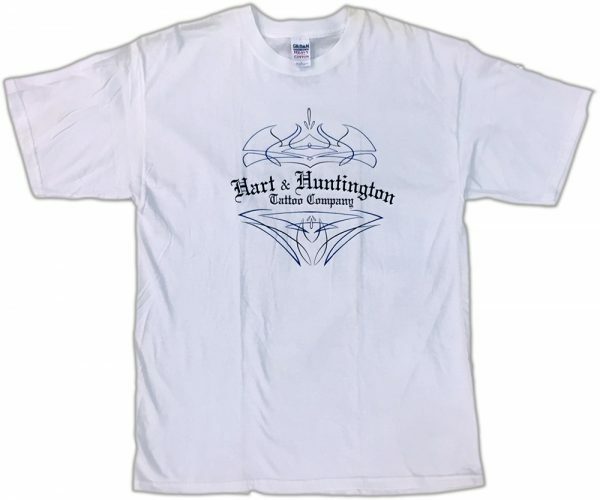 These are original, official Hart & Huntington Tattoo Company tops from their early years as a company. 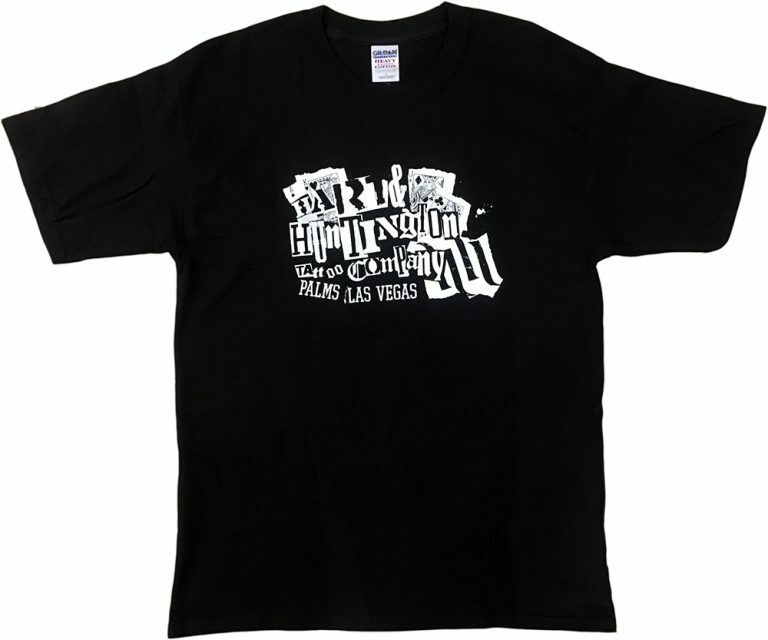 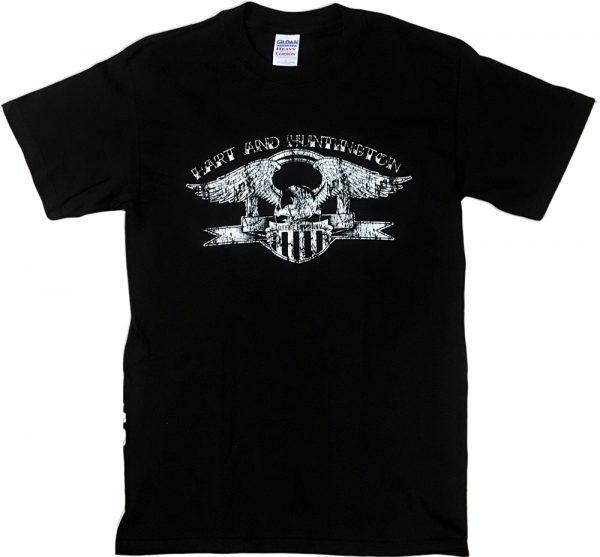 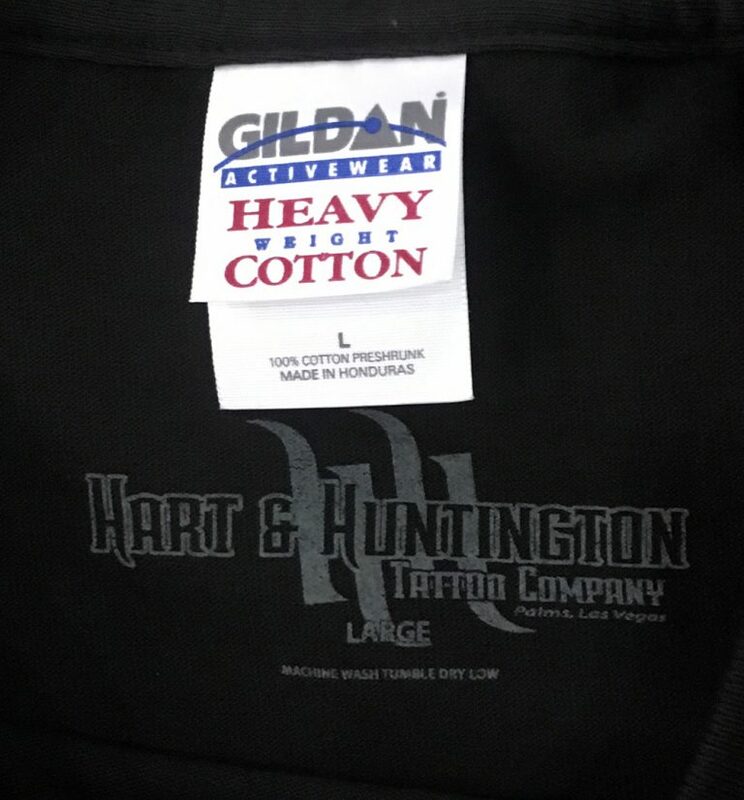 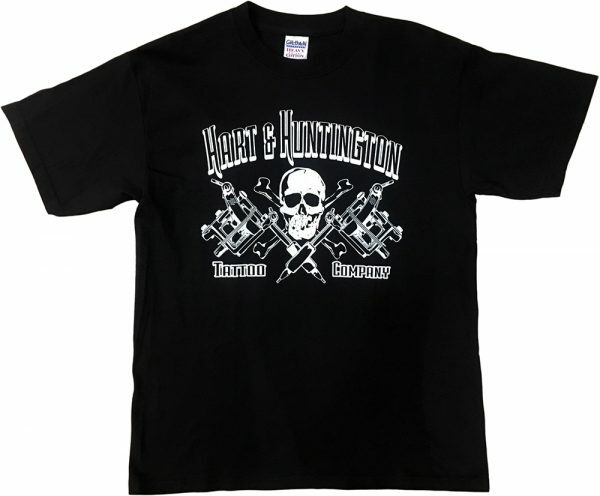 Printed on licensed Gildan t-shirts; comes printed with inner H&H logo.